I Think I Have a Broken Blood Vessel in My Eye. What Should I Do? If you look in the mirror and notice that the normally white part of your eye has turned red, don’t be alarmed. A broken blood vessel is a tiny injury that will heal quickly. Here is everything you need to know about broken eye blood vessels. What happens- Sometimes, a small blood vessel in your eye breaks just underneath the conjunctiva, or the clear surface of your eye. As the conjunctiva cannot absorb blood quickly, the blood is trapped there, and part of the eye turns red. This minor injury is also known as a subconjunctival hemorrhage. Symptoms- You probably will not even realize that one of the tiny blood vessels in your eye has broken until you look in the mirror and notice that the normally white part of your eye is red. A subconjunctival hemorrhage should cause no change in vision and no severe pain. You may feel a mild scratchy sensation on the surface of the eye. Probable Causes- A broken blood vessel usually occurs without causing actual harm to your eye. As little as a strong sneeze or a cough can break one of the blood vessels in your eye. Other causes can be rubbing your eyes or an incident of blunt trauma, such as an object directly hitting your eye. What you should do- Health complications from a broken blood vessel in the eye are rare. If you have recurrent subconjunctival hemorrhages or experience other bleeding in the area, see a doctor. 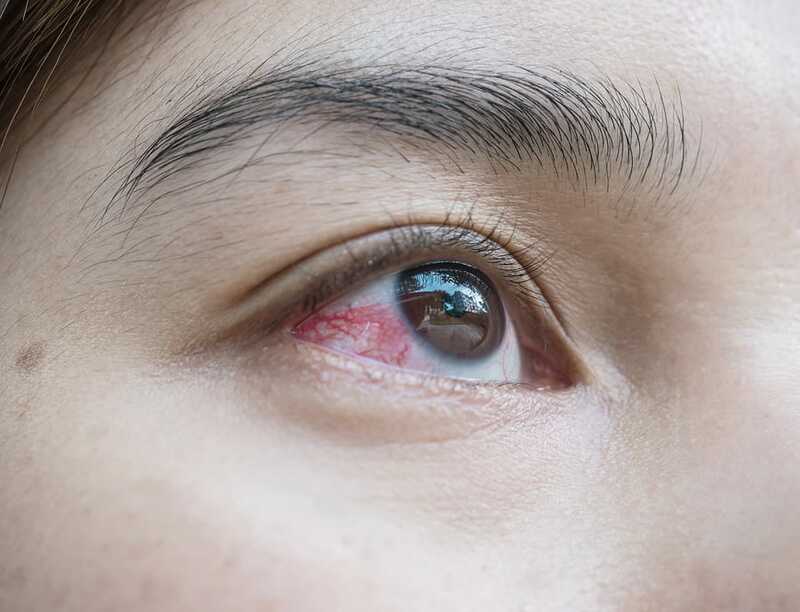 A variety of health conditions, such as diabetes, high blood pressure, and blood-clotting disorders, can aggravate the problem and make further steps to reduce the risk of frequent subconjunctival hemorrhages necessary. For regular prevention, simply be gentle with your eyes. A broken blood vessel in your eye is usually nothing to worry about! To consult a professional opinion and discuss specific eye care needs, book your appointment with your Valley Eyecare Center optometrist. Call us at 602-955-2700 or schedule online today.